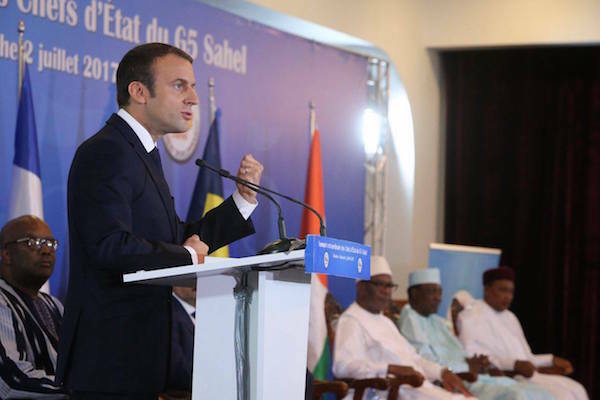 President Emmanuel Macron, whose mastery of English is unprecedented among French leaders, will on Tuesday unveil his strategy to promote his native language, aiming to make it the first language in Africa, “maybe even the world”. France’s youthful president has impressed foreign audiences by giving speeches and interviews in near-flawless English, a language viewed with hostility by predecessors like Jacques Chirac, who once walked out of an EU meeting after a Frenchman began speaking English. And yet while making clear he has no beef with English, Macron is on a drive to expand global use of French, particularly in Africa — the world’s youngest continent in terms of the age of its population — which he sees as a wellspring of future speakers of the language of Hugo and Moliere. On Tuesday, International Francophonie Day, he will set out his plan to improve the standing of French, the world’s fifth most spoken language after Mandarin Chinese, English, Spanish and Arabic, according to the French foreign ministry. But ahead of Tuesday’s speech at the Academie Francaise — the gatekeeper of the French language — his advisors said he would settle for third. But at home his penchant for anglicisms and English slogans such as “start-up nation” and “Make our planet great again” have raised eyebrows. But among African intellectuals, the linguistic ambitions of France’s president, often nicknamed Jupiter, or god of gods, for his lofty style, have met with scepticism.